Is GoPro becoming a 'movement'? Keep the cameras rolling because GoPro is breaking more records. 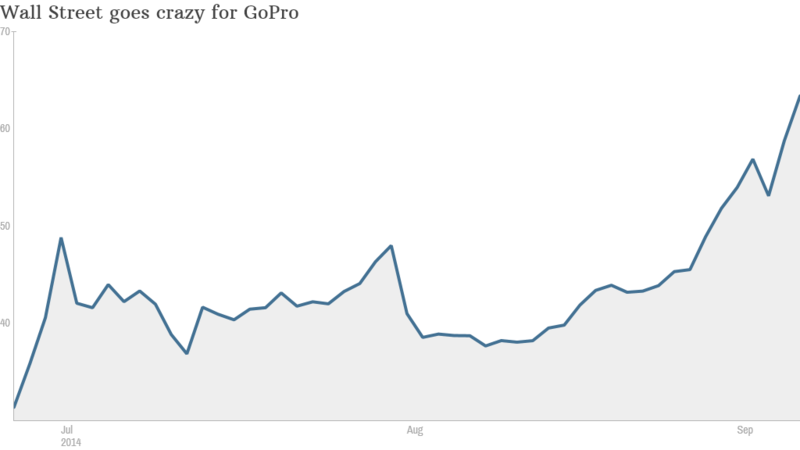 GoPro (GPRO) stock zoomed to yet another all-time high on Monday. A Wall Street analyst now says the wearable camera maker isn't just hot, it's reaching a tipping point. "As the company branches into content management, GPRO is becoming a bit of a movement," FBN Securities analyst Shelby Seyrafi wrote in a note to clients. Critics have consistently rated GoPro's devices higher than those made by rivals like Sony (SNE), Canon and Garmin (GRMN). 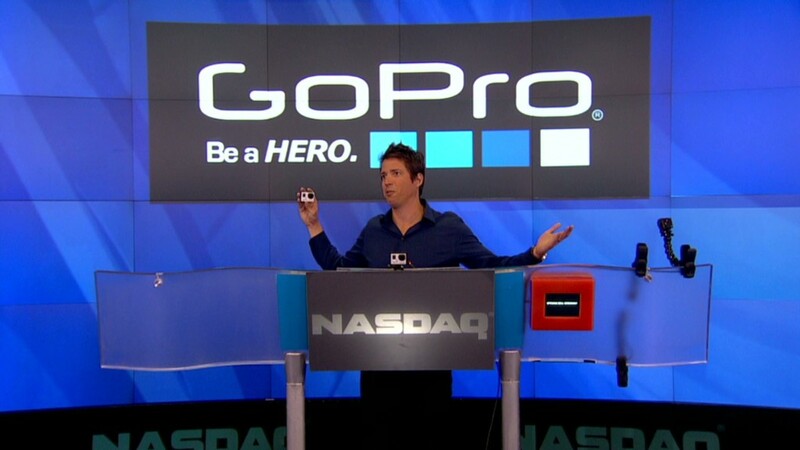 GoPro sold 3.8 million devices in 2013, but FBN notes that's just a drop in the bucket. Over 90 million digital cameras and camcorders were sold last year. "The company has ample runway ahead to drive strong growth for several years," Seyrafi wrote. New stock high: That's exactly what Wall Street is banking on. The latest stock surge left GoPro as high as $63.72 on Monday, or a whopping 164% above its June IPO price of just $24. Shares are up 8% Monday alone. Like many consumers and investors, Seyrafi zeroed in on GoPro's stable of fast-selling cameras, including the Hero3. FBN slapped an "outperform" rating on GoPro, which is the equivalent of a "buy" recommendation. GoPro stumbled a bit in early August when it issued its first earnings report that failed to meet investors' lofty expectations. Related: Which is a better buy? Apple or Exxon? But it didn't take long for GoPro to rebound. Its stock has gone nearly vertical since the last week in August. GoPro has generated serious buzz through a viral marketing campaign that includes a YouTube page with more than 2.2 million subscribers. Recent videos on the page include everything from trick golf shots to diving with giant manta rays. "As more people spend time online to share personal experiences through photos and videos, the GPRO 'movement' is further enhanced," Seyrafi wrote. That brand awareness could also help drive international sales, which only makes up 38% of GoPro's total sales. FBN sees "strong growth opportunities overseas," pointing to 80% annual growth in Asia. Overvalued? GoPro is also generating buzz on StockTwits, where the company was trending on Monday. Some users expressed concern about competition from other camera makers. Others believe the spike in GoPro's shares isn't based on fundamentals. "$GPRO Another great retail pump and dump. Buying only because the company is 'cool.' Institutions will play you, again and again," GS_Elevator wrote. Last week, JPMorgan Chase (JPM) reportedly downgraded GoPro to "neutral" from "overweight." The bank thinks GoPro's stock price is lofty. GoPro's ability to keep up its torrent pace may come down to whether the company unveils new products. FBN noted GoPro has ramped up its R&D spending over the past year, adding: "We think there are some positive catalysts ahead."